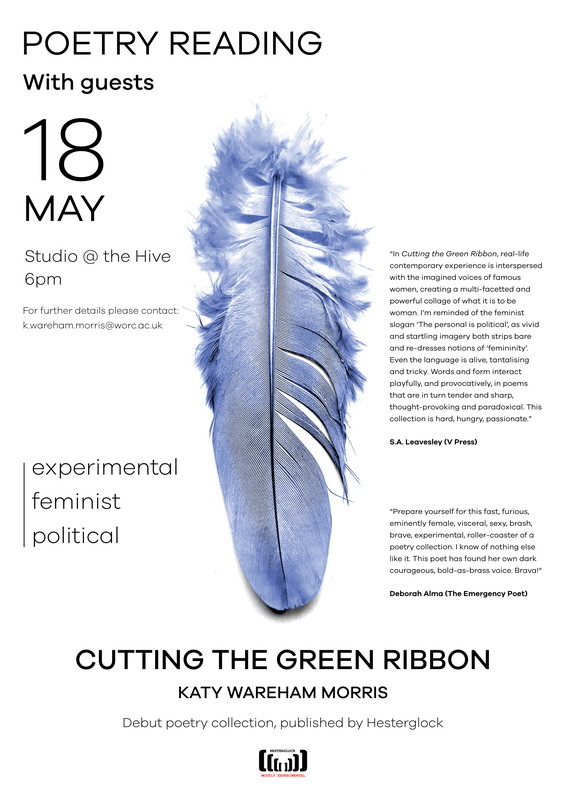 Join me and my guests for an evening of feminist poetry, at the Hive, Worcester. I will be joined by Holly Magill, co-editor of the well-respected poetry webzine, Atrium, and Claire Walker, who will read from her latest V Press pamphlet, Somewhere Between Rose and Black which has been shortlisted for a Saboteur Award 2018 in the Best Poetry Pamphlet category. I shall read from my very recently published collection, Cutting the Green Ribbon. Books will be on sale, if you'd like a personalised, signed copies. See you there!